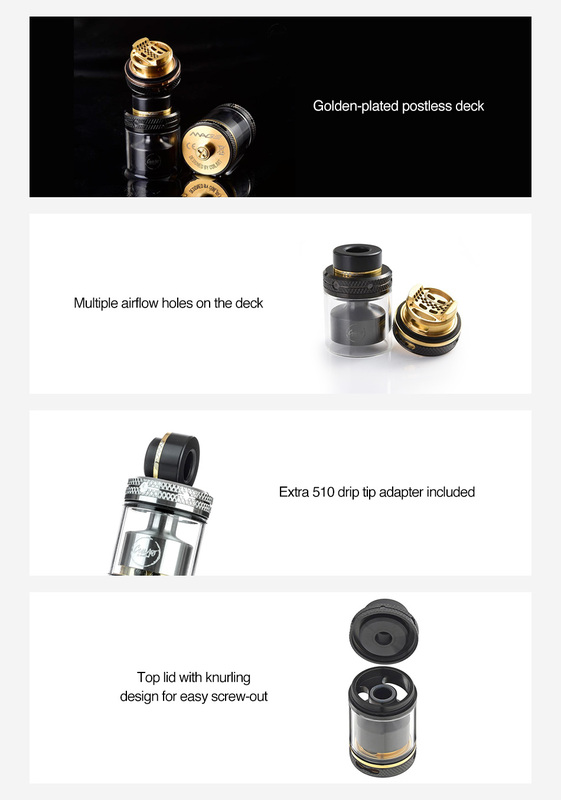 The CoilART Mage RTA V2 comes with 24mm diameter and 3.5ml juice capacity. The pack also attach a 5.5ml bubble tube for large juice storage. 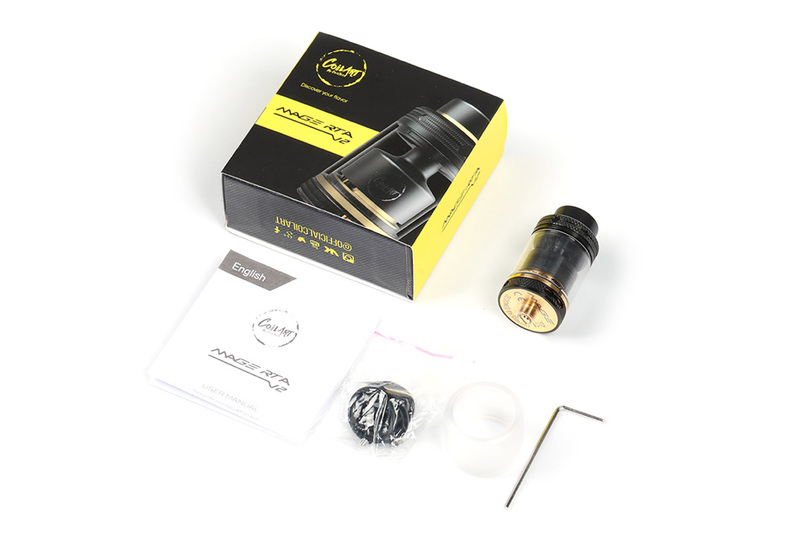 Compared to its predecessor, the Mage RTA V2 upgrades its deck to an postless building deck, making wicking and building easier than before. The multiple airflow holes on the deck provide smooth and ample air inlet to the coils too. With a 510 drip tip adapter, the CoilART Mage RTA V2 is compatible with both 810 and 510 drip tips.